Ditch everything else for Shoviv Exchange Server Migration and you would never be disappointed. 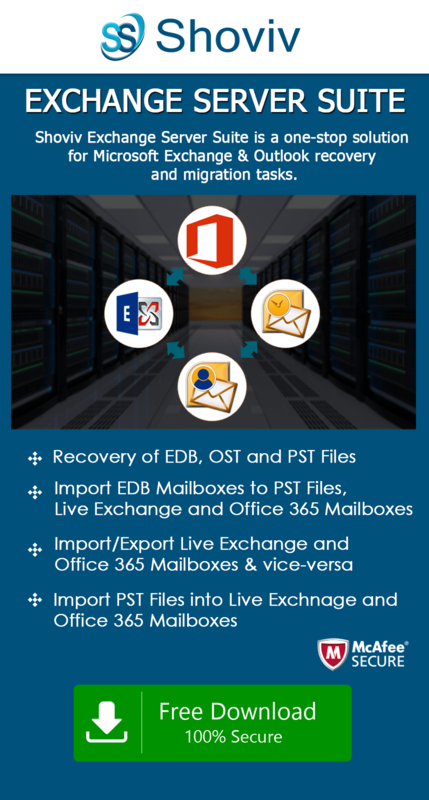 This tool can be used to migrate Exchange to Office 365 server, migration of source mailboxes like EDB files, Outlook stores, Live Exchange (on-premises), and Outlook PST files. Other features combine together to provide the service of migration of Live Exchange/ Office 365 public folders and archive mailboxes into another Live Exchange/ Office 365 public folder and archive mailboxes. With Shoviv Exchange Server Migration tool you get much more than merely the opportunity to migrate Exchange to Office 365 server. 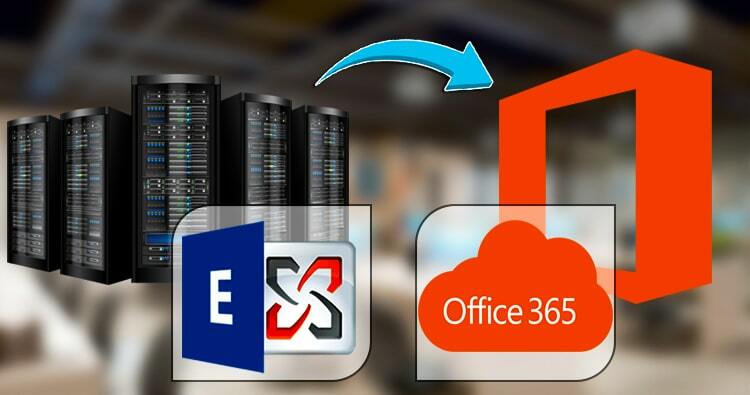 In the process to migrate Exchange to Office 365 files you do not have to worry about the safety of your data files. In fact, it can be used to migrate huge files with the same efficiency it provides to small files. The users can add large source mailboxes for migration without facing any limitation because of the size of the files. This has been produced to migrate Exchange to Office 365 server in a way which lets you keep the hierarchy of your files intact too. The proper hierarchy of the folders is kept intact throughout the procedure. So there is no possibility of loss of data files or damage to the original source mailboxes. It is always a good idea to check the contents which are undergoing the process to migrate Exchange to Office 365. Unfortunately, the process is not that easy. But you do not need to stress as we have come up with the preview facility. With this feature, you can view the properties of the mail data including item body, item property, recipient, and attachments. So, using this feature you can remain aware of the contents of the data going for conversion. Outlook PST is a format widely used by people which explains their tendency to submit their data into this format. If you use this tool to migrate Exchange to Office 365, you can enjoy that feature too. It would convert the migrated files into the PST format in an instant. Further, it would also let the users break the PST files into smaller files. This feature is useful since Outlook comes with limitation on the size of PST files, they cannot exceed 50 GB. This tool can be used not only to migrate Exchange to Office 365 but also to migrate source mailboxes to Live Exchange server or Exchange mailboxes to Live Exchange server (on-premises) with both automatic and manual mapping facility. This tool is the best option to migrate Exchange to Office 365 since it has got so many user-friendly features. No user would find the migration process tough since its GUI is designed for experts as well as beginners. Using this tool one can migrate single or multiple mailboxes at once. It can be used to migrate the desired files to Office 365 or migrate Office 365 mailboxes to Office 365 instantly. Public folder migration is an amazing input which makes the process of Exchange to Office 365 folder migration easy for the users. One can also migrate Live Exchange/ Office 365 public folders/ archive mailboxes and EDB folders into another Live Exchange/ Office 365 public folder and archive mailboxes. The users can choose the destination folder for their converted data once the process to migrate Exchange to Office 365 files is over. If you need to include or exclude the added source mailbox items you can do that using the filter feature. It lets you filter out data using two criteria- message class and item date. The search facility is useful in searching out data instantly. The criteria is being used to search out files include CC, BCC, attachments, subject, from etc. The HTML format is quite convenient for saving data, and we are aware of that. This is why once this tool is done with the task of Exchange to Office 365 migration, it would store your files in that format. You can check these features with the free trial version we provide for everybody. Then you can upgrade to the full version and obtain full license of the tool. We also provide free client support which is accessible 24*7. You can contact us anytime for support as well as for feedback. To download the free trial, click here.